Registration will OPEN BY MAY 1st. Goals and Purpose of Program: The program is designed to help runners with previous marathon experience reach their goals of improving their marathon experience and achieving PR’s (personal records) and Boston qualifying times! Last year, participants ran 37 PR’s and 57 BQ’s. Prerequisites: This program is open to runners who are experienced in long distance running and marathoning. There are no criteria for speed and we welcome runners of all paces. Historically, the marathon times range from 2:45 to 5:00. In order to be ready to handle the training schedule for this program, at the time the program begins in early June, runners must have a strong and consistent mileage base of at least 35 miles per week in order to be able to safely build to the suggested peak mileage of 50-60 miles per week, and should be able to comfortably run 12 miles as a long run. The long runs build to 20-22 miles, with 4 20-milers before taper begins, depending on the marathon date. If you have any questions about your suitability for the program, please contact the program director prior to registering. The first group long run is 14 miles. Cost: The cost for the program is $100. 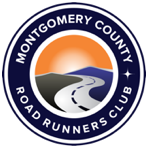 You must be a member of the Montgomery County Road Runners Club. Anyone not a club member can join the club and then register for the program. Once registered, there will be no refunds regardless of the reason. Each runner is responsible for his/her own marathon registrations. Orientation & First Run: Orientation will be held on Tuesday, June 5, 2018 @ 7:00 PM at Montgomery College, Room HU133 (Humanities building). Registration will remain open past orientation so that runners may get their questions answered at orientation and decide if the program is for them. The first group run is set for June 9th. Target Race: The program does not have one particular “target” marathon. The training schedule is designed for training for a variety of marathons throughout the fall marathon season, beginning with Erie and Lehigh Valley (mid-September) and ending with Philadelphia (late November). The training schedule specifically includes in between Wineglass, Steamtown, Chicago, Baltimore, Marine Corps, New York and Richmond, but many program participants will run numerous other fall marathons on a variety of weekends. The coaches will adjust the training schedule to fit particular marathon weekends. Many of the program’s runners participate in early season marathons starting mid-September and then continue with the program running second marathons or just continuing to train with XMP. The program ends in mid-November to accommodate the later fall marathons. Background: Harold was a participant in the first year of the XMP program in 2002 and has coached in the program since 2003. He is RRCA certified (Level II), with some USATF training as well. Harold has run 35 plus marathons. This is his eighth year as Head Coach and Director. Lisa Chilcote returned to competitive running in 2009 after a 20-year hiatus. She has served as a coach for the club’s winter marathon and winter half marathon programs. In 2011 she was recognized by the club as Runner of the Year. She is a co-captain of the club’s Competitive Race Team. Donald Chung ran his first marathon in 1991 and has since completed over 50 marathons in 36 states. He has coached with the Club’s First Time Marathon Program and the Advanced Marathon Training Program. Dan DiFonzo has run 50 marathons and ultra-marathons including the last 14 Boston Marathons. He has trained with XMP since 2005. In addition to coaching XMP, he has coached with the club’s Winter Half Marathon and Winter Marathon Programs. Ken Earley is into his 10th year of coaching with XMP. He is Club Vice-President and has co-directed the Club’s winter Half Marathon Training Program. Since running his first marathon in 2004, Ken has competed in 20+ marathons. Lee Firestone began training with XMP in 2006. He has completed numerous marathons including multiple Boston Marathons. In professional life, Lee is a podiatric surgeon with a specialty in sports medicine, treating many runners. Lee is a member of the club’s Competitive Race Team. Bernard Kelly’s first marathon was Marine Corps run in 2007. The following year, he began training with XMP. He has run 26 marathons, including 4 Boston’s. Argaw Kidane began training with XMP in 2011. He has completed numerous marathons including 6 Boston Marathons. He is also a member of the club’s Competitive Race Team. Bill Loomis first took up running in 2006 and began training with XMP in 2008. He has run over 20 marathons (including the last 10 Boston Marathons) and ultras. In 2015, Bill was recognized by the club as Grandmaster Runner of the Year. This is his fifth year coaching XMP. Auke Mahar-Piersma ran his first marathon in 1999, took a break from marathoning and returned to it in 2011. He began training with XMP in 2013. He has completed 12+ marathons, including multiple Bostons. Auke is also a member of the club’s Competitive Race Team. Al Navidi ran his first marathon in 1994. Prior to that, he had been competing in triathlons and has completed 6 Ironman triathlons. He has completed the 50 state marathon cycles, including the Boston Marathon. Al began training with XMP in 2002. In addition to coaching with XMP, he has coached with the club’s winter Advanced Marathon Training Program and the Summer Half Marathon Program. Elizabeth Pavlick ran her first marathon in 2012. She has since completed 12 marathons, and 2 ultra-marathons. Elizabeth began her marathon training with MCRRC’s First Time Marathon Training Program in 2013, and started training with XMP in 2016. She has also coached with MCRRC’s winter Advanced Marathon Training Program and its predecessor Winter Marathon Training Program. Ann Rosenthal began running in 1977, ran her first marathon in 1997, and has run over 30 marathons and ultras, including 9 Boston’s. She first trained with XMP in 2008 and has trained with the program each year since. This is her first year coaching with XMP. Karyn Ryan ran her first marathon in 1998, took a break for family, and then returned to marathoning in 2011. She began training with XMP in 2013. She has completed numerous marathons including multiple Boston Marathons. Jennifer Sample has been a runner for the past 20-years. She has run 30+ marathons, including multiple Boston’s. She is a member of the club’s Competitive Race Team. Terri Scadron ran her first marathon in 2009 and has completed over 50 marathons or ultras. She began running with XMP in 2011 and began coaching with XMP the following year. Terri is also co-director of MCRRC’s Winter Advanced Marathon Training Program. Jeff Solar started running in the 1970’s and completed his first marathon in 2002, training with the FTM Program. He has trained with XMP since 2010. Overall, he has completed 20+ marathons, including Boston. He also coaches with the Club’s Winter Advanced Marathon Training Program. Brad Stewart, a triathlete and Ironman competitor, ran his first marathon in 1996 and has run with XMP since 2013.This is his third year coaching with XMP, and has also coached with MCRRC’s Winter Advanced Marathon Training Program (AMT). Doug Watt has trained with XMP since 2007. He has run the past 11 Boston Marathons among his 30 + marathons to date. Robert Yarchoan ran his first marathon in 2003, began training with XMP the following year and became an XMP coach in 2011. He has completed at least 25+ marathons and ultra-marathons, including a number of Boston Marathons, two JFK 50’s and other ultras. Krista Zanetti became an avid runner in 2011, ran her first marathon in 2015, and began training with XMP in 2016. She has completed races with distances up to 50K, including 7 marathons. Krista has also coached with a number of other MCRRC training programs, including the Advanced Marathon Training Program. Elizabeth Zifcak ran her first marathon in 2011. She has since completed 13 marathons. This is her first year coaching with XMP. Elizabeth has also coached with MCRRC’s Winter Advanced Marathon Training Program. Pace Group Information: Runners will be assigned to specific training groups, which will include runners with similar levels of pacing and conditioning. The program normally has 18 to 19 such pace groups. In order to assign runners to pace groups, the program will require a recent race time with registration run at 100% effort, to provide an accurate measure of current race pace and fitness level. The registration form includes questions about recent race times. If you cannot provide us with a recent race time at the beginning of the program, you will need to run a 5K or a 10K race as soon as possible in order to receive an appropriate pace group assignment. The size of each pace group will vary depending on the number of registrants in the program and the distribution of runners among various running paces. We place participants in groups whose pace will provide them with an appropriate training stimulus to maximize their marathon performance, consistent with their current fitness. While coaches may set pace in some groups, some pace groups will not have coaches assigned to them. Training Paces: Each pace group will be assigned five different training paces. The assigned paces are designed to train the various physiological “systems” critical to marathon success. The pace groups in the program are designated by the “long, slow distance” (LSD) pace. Each pace group normally has a 15 second LSD pace “window” recognizing the minor spread of abilities and conditioning within each pace group. In the past, LSD pace groups have ranged from a 7:00-7:15 minute per mile LSD pace to an 11:45-12:00 minute per mile LSD pace. These paces, in the past, have generally led to marathon times ranging from 2:45 for the faster groups to 5:00 on the slower end. The other assigned training paces for each pace group include a “lactate threshold” (LT) pace (roughly a 10 mile to half marathon race pace), and a “10K Pace” and a “5K Pace”). A “marathon training pace” (MP) is also assigned to each pace group. Marathon training pace tempo runs (low end “lactate threshold”) become a mid-week staple of the training program midway into the season. Training Schedule: The training schedule will be made available to each registrant following registration. It is restricted for use only with XMP. The training schedule contains suggested workouts for every day of the week (including “rest” days) for the entire duration of the program. It allows mileage ranges and other variables. It follows the hard-easy philosophy with “easy” workout days following “hard” workout days. It builds to a recommended 50-60 miles per week with long runs building from 14 miles to 22 miles. Each marathon will have a recommended minimum of four 20-mile long runs. Three-week tapers are included in the schedule. Group Workouts: There are two coached group runs each week. Tuesday evenings at 6:45pm are the quality or speed and hill runs. The early season Tuesday group runs will include hill repeats and tempo runs at various paces, run from KenGar Recreation Center. After that, the program will move to the track at Montgomery College, Rockville Campus for the remainder of the training program. The group long runs are mostly run at LSD pace and are held on Saturday mornings starting at 6:30am. These runs are mapped for the runners and are loops or out and backs and most start and end in Bethesda and use primarily the Capital Crescent Trail and/or Rock Creek Trail. Many of these runs include hills. Communications: Registrants must utilize Yahoo!, which is the official communication forum. After registering for the program, a registration confirmation sent to each runner will include and instruction for registering for the XMP Yahoo! Group. In addition to the information found in the “Communications” section below, the program utilizes Twitter to announce any last minute group run changes. There is also an “unofficial” XMP Facebook page. There is no requirement to subscribe to either Twitter or Facebook.